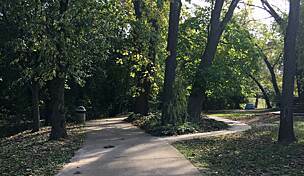 The Enfield Park Trail links the Crystal Bridges Trail—part of the impressive Razorback Regional Greenway—with Enfield Park, one of several well-maintained neighborhood parks in Bentonville. 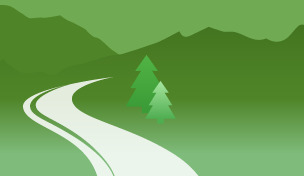 Most useful as a connector and not necessarily as a destination on its own, the trail still offers pleasant woodland scenery on its short route along the northern edge of the Crystal Bridges Museum of American Art grounds. 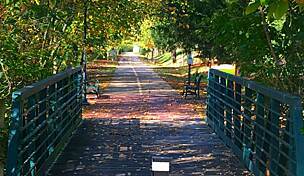 Limited parking is available at Enfield Park (1205 NE Waverly Way) in Bentonville. 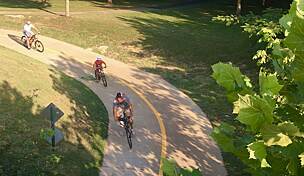 Additional parking can be found at the Crystal Bridges Trail's A Street Trailhead (906 NE A Street). 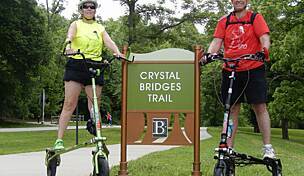 From the parking lot, continue south on the Crystal Bridges Trail for approximately 100 feet, and then cross A Street to access the Enfield Park Trail.